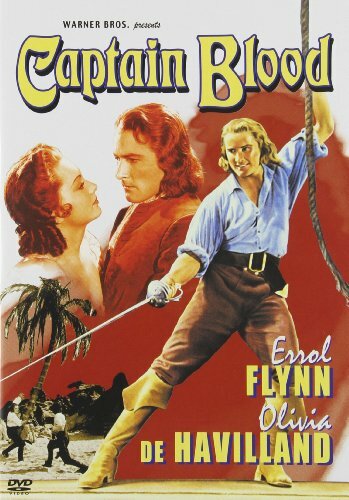 Captain Blood is the film that's responsible for introducing the world to Errol Flynn (as well as a cornucopia of sexually transmitted diseases to hoards of unsuspecting women, if the stories are true). Thanks, Cap! Errol Flynn is Peter Blood, a 17th century doctor who has the misfortune of getting mixed up in a plot to overthrow King James II, is shipped off to the West Indies, and sold into slavery. Overall, just not how you want your day to go. Strangely enough, once he becomes human chattel, his fortunes start to look up. He is purchased (ok, granted, that sounds bad) by a kind young lady in an effort to protect him from the deadly mines, and is quickly offered a decidedly non-slave-like position of official physician to the colony's whiny governor (who suffers from the karmic retribution of rich white men everywhere, gout). And in almost no time at all, he and his fellow slaves come up with an escape plan, which is only helped by the fact that just as their scheme is about to fail, the Spanish pick that moment to considerately invade, causing a much needed diversion. (A timely intervention that the bizarrely redundant title cards are kind enough to point out for all of us right after Flynn remarks on the matter. I think they were still working out the kinks of making a film with actual sound and figuring out how well people would be able to follow the story line solely through dialogue.) They steal a ship and set off to sack all of the islands of the West Indies. Dr. Blood becomes Captain Blood, and the hijinks begin. But really, aside from the whole being an outlaw pirate with a price on his head thousands of miles away from home thing, he really doesn't have it so bad. Plus, the rich girl (played by Olivia de Havilland in one of her first major roles) who saved him is pretty much in love with him. The one thing he probably is going to have to deal with sooner or later is that her uncle, a powerful colonel in the West Indies, has decided to dedicate his life to capturing Blood, presumably because he's super jealous of how awesome he is. And really, his transition from peace-loving physician to basically the Dread Pirate Roberts is crazy impressive. It takes him about three years to badass his way around the Caribbean and become one of the most feared pirates in the world. In that time, we've been introduced to a very silly French pirate named Levasseur who Blood has gone into business with against his better judgment. He's pretty much just there because they wanted a bit of swashbuckling and couldn't figure out how to work in a sword fight without Basil Rathbone on the payroll. But he does contribute one very important thing to the story, which is bringing our poor little rich girl back in on the action. She was travelling on a ship ransacked by Levasseur, and is held for ransom. Now that Blood is all rich and pirate-y, he is in a position to pay off Levasseur and essentially buy her. The shoe is on the other worm which has turned, and they're obviously going to fall in love now, because if there's one way to a woman's heart, it's by literally purchasing her. Wait no stop I was kidding. But to be totally fair, the movie makes it clear that Blood is acting with noble intentions. It was obvious how Levasseur, being French and a pirate, would have treated his pretty young hostage if given the chance, and Blood makes the decision fairly quickly to take her back to Port Royal at great risk to himself. Through a string of good luck and coincidences, Blood not only manages to win over his lady fair, but also sees himself and his men pardoned by the new king (William of Orange), and is somehow made the new governor of the colony. This, of course, proves the moral of the story, which is that piracy always pays. In a tip of the hat to Blood, I watched a free stream of this movie online rather than paying for it, and am currently awaiting my governorship of an island paradise. All told, Captain Blood is the quintessential swashbuckler, and one of the best pirate movies ever made. The set pieces are phenomenal, and there is real depth in the relationships between Blood and his crew members. When you think that a mere eight years earlier, filmmakers were still figuring out the whole "sound" thing, what they're able to accomplish here is nothing short of astonishing. 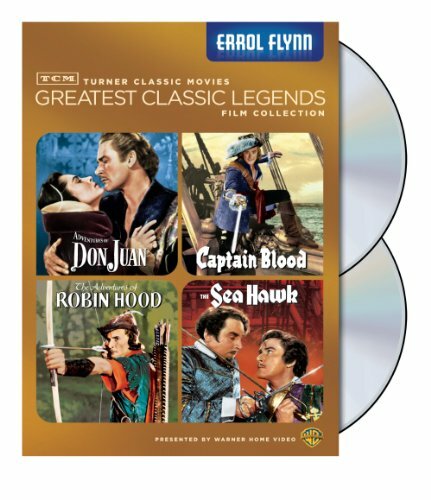 I have to admit that I haven't seen a ton of Errol Flynn, but after watching Captain Blood, I definitely get the appeal. The man is like a giant ball of charisma, and the level of screen presence he has so early on in his career is unbelievable. You know how sometimes you watch movies from this time period and the matinee idols are so stilted and dated that you can't imagine anyone finding them anything other than ridiculous? Yeah...that's not the case here. 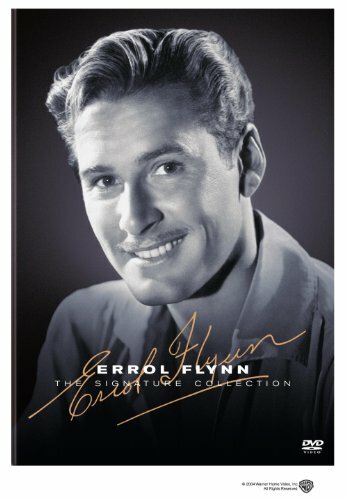 Pretty sure that the corpse of Errol Flynn could still get it. Look at these two crazy kids and tell me you don't want to immediately hunt down every film they made together.